Raymond Camden of Adobe presented on Harp this past week, and then again in this live screencast. It’s a great introduction to Harp and the Harp Platform. He also has more notes from his talk available. Consider sharing it with someone you think would enjoy trying out Harp! 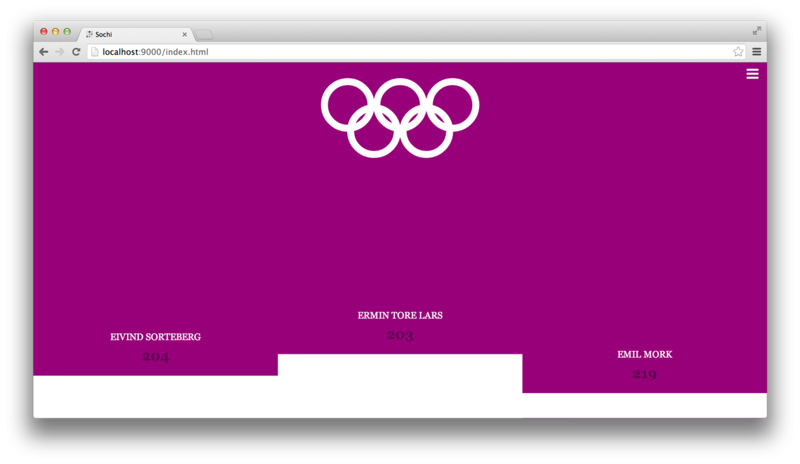 Torgeir Thoresen used Harp to build an Olympics standings app, which includes some slick SVG animations. 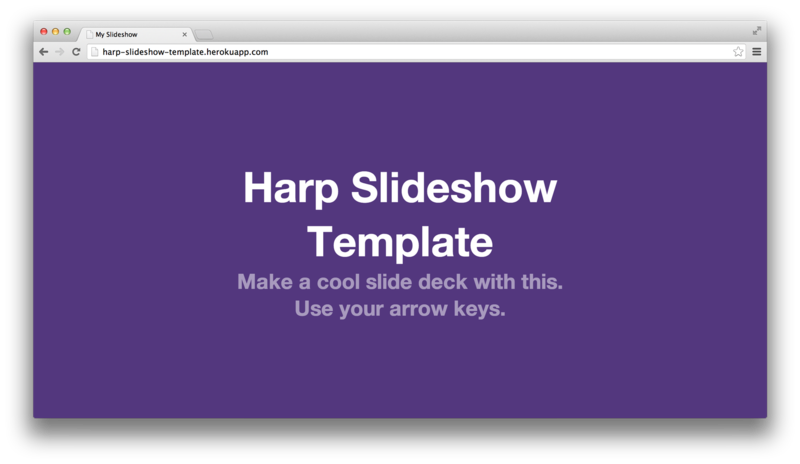 Zeke Sikelianos has put Harp to great use again with this slideshow template, complete with Markdown, iframe embed, and code highlighting support. If you’re considering giving a talk about Harp, static applications, preprocessors, or something else you think we might like, get in touch and we’ll do our best to promote your talk or meet up. Another release of Harp is around the corner. If you’re interested in contributing to Harp, feel free to open or comment on an issue on GitHub to get started.